Members of the Millington Composite Squadron were proud to partner once more with Wreaths Across America, a nonprofit initiative that recognizes the courage and sacrifices of U.S. veterans by placing wreaths on the graves of the fallen during the year end holiday season. This year, in tribute to the 25 million men and women who have served in the U.S. armed forces — guarding and preserving America’s freedom throughout history — wreaths from Worcester Wreath Co. in Harrington, Maine, will be placed on more than 325,000 veterans’ graves at 700-plus cemetery or memorial sites in all 50 states, as well as 20 foreign locations. 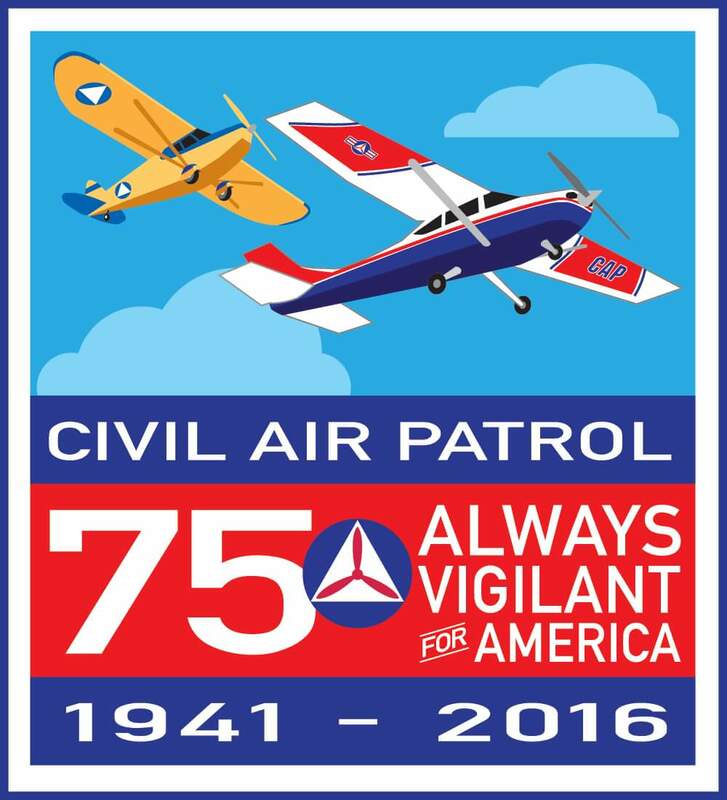 Civil Air Patrol is a fundraiser for Wreaths Across America, and its members also lead or participate, often with color and honor guards, in many of the ceremonies at cemeteries and war memorials. 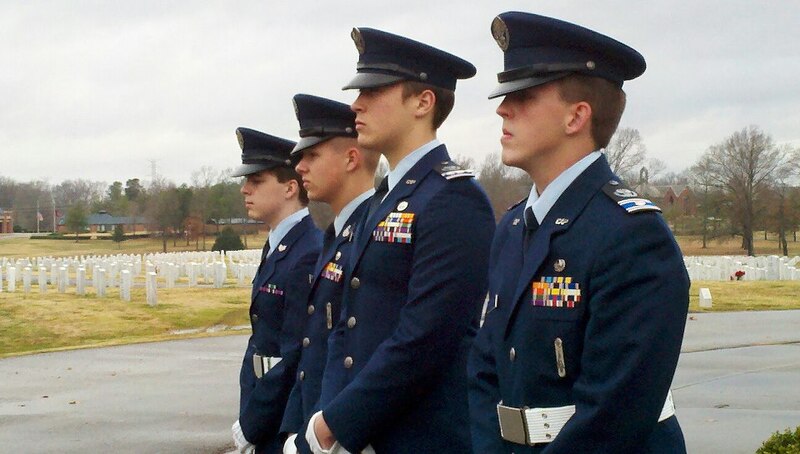 Squadron members from Millington provided a color guard for the event held at the West Tennessee Veterans Cemetery. The newest edition of Volunteer Magazine has been released. 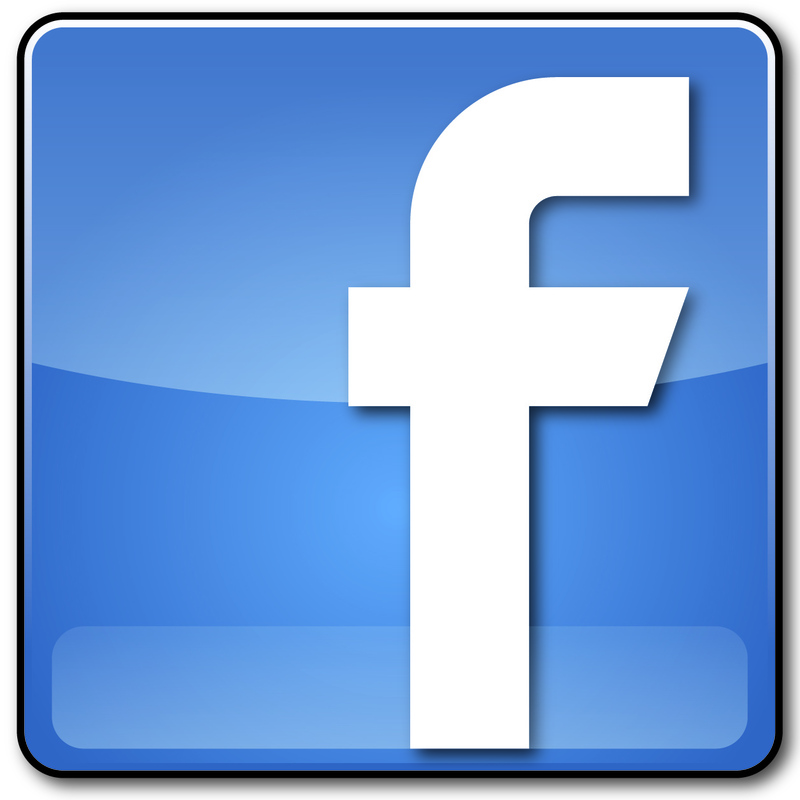 It is available at http://www.capvolunteernow.com/cap_volunteer/. 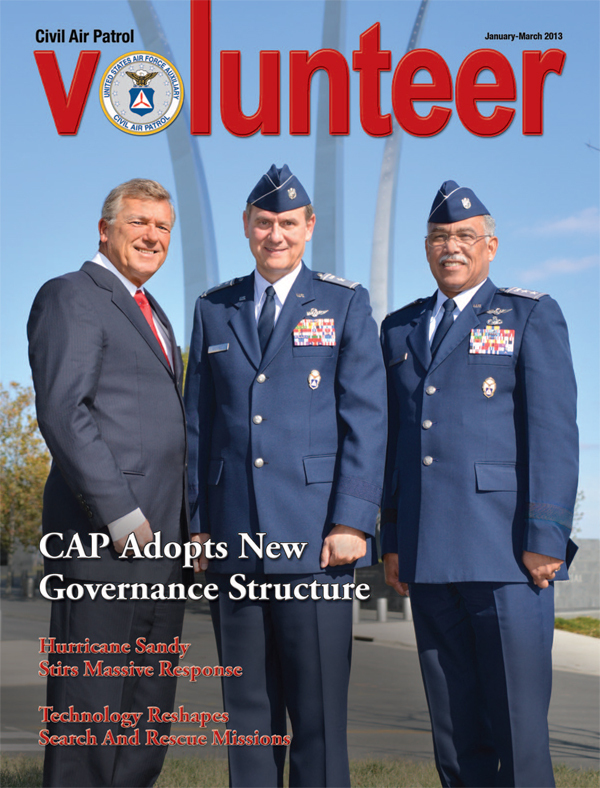 In addition to the cover story about Civil Air Patrol’s new governance structure, coverage in the e-edition of the Volunteer includes a seven-page feature on CAP members’ response to Hurricane Sandy and their delivery of more than 157,000 aerial assessment photos to FEMA and other national, regional and state emergency management agencies. 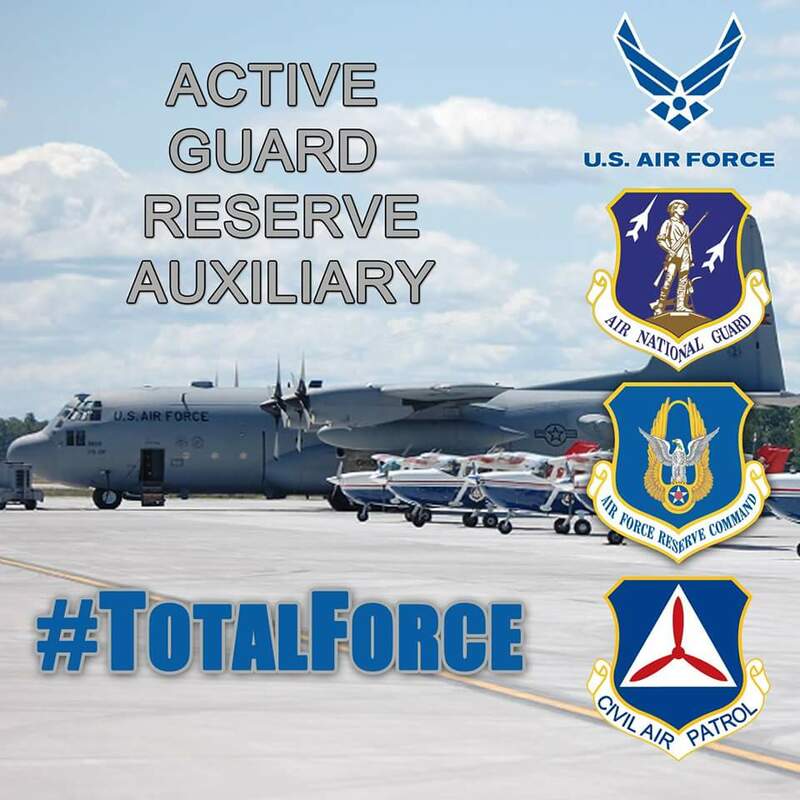 There is also an in-depth article about technological advances within CAP that are modifying the organization’s search and rescue missions. There are three videos included in the digital version of the magazine as well, a Wreaths Across America news clip on page 3, a thank-you message from FEMA on page 30 and a North Carolina Coastal Patrol Base 16 historic marker dedication ceremony video on page 38.